Fast Company’s editors sift breaking news for nuggets of worthwhile innovation. Updated all day. Skinput. A team of engineers have created a chip implant they’re calling the “epidermal electronic system” (EES). 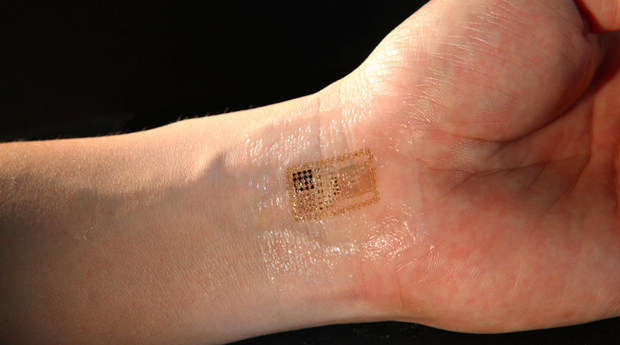 It could go a step beyond even the most recent breakthroughs in wearable chips, such as the new “electronic tattoos” for medical patients; EES flexes with users’ skin without losing performance and even records input from users’ body movements. Their discovery, published in this week’s issue of Science, has all sorts of applications for the medical and gaming fields and will surely be the stuff of a billion tinfoil hat conspiracy theories. –T.G. U.K. Shoots The (BlackBerry) Messenger. U.K. Prime Minister David Cameron and others are seriously talking about various types of bans or blackout possibities for social media such as Facebook and Twitter during fragile times such as the recent London riots. And the government is discussing access to RIM’s BlackBerry Messenger system, used by some rioters. The three companies are being called to meet with British home secretary Theresa May. Meanwhile, Facebook and Twitter continue to foster post-riot cleanup. –T.G.